It’s that time of year again – political parties from all over are trying to get you to vote for their candidate of choice. For some, it can be very informative process, but for most of us – we have made up our mind and the calls that come in come off as a nuisance or just plain annoying. If you find yourself in this situation where you just can’t take it anymore and want to get rid of campaign calls once and for all, we have a few solutions that you might find useful. First, you should have registered your phone number with the National Do Not Call list. If you haven’t already done this, then you’ll find that telemarketers from all over can call you trying to sell their products and services – the National Do Not Call list cuts down on these calls just a few weeks after registering. What is a call blocker? A call blocker is a device, usually very small that sits next to your phone, that enables you to pre-screen calls coming to your cell and landline phone. It ensures that only calls that you want to answer are let through and allowed to ring – eliminating the telemarketing and political calls that you’re probably already familiar with. These devices come with many different features, so it’s important to do your research on which one is best for you before you buy. 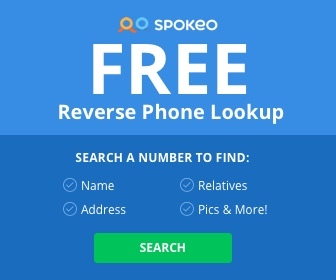 Luckily – here at Best Free Phone Lookup, we have done the hard work for you and compiled a handy list of each call blocker, along with features, prices, and extra information. Be sure to check out this list below and see which blocker is best for you! In order to prevent future telemarketing and political robocalls, it is recommended that you invest in a call blocker – most of them have built in list of phone numbers associated with political campaign committees automatically blocked, so all you need to do is plug it into your wall and let it do the work for you.